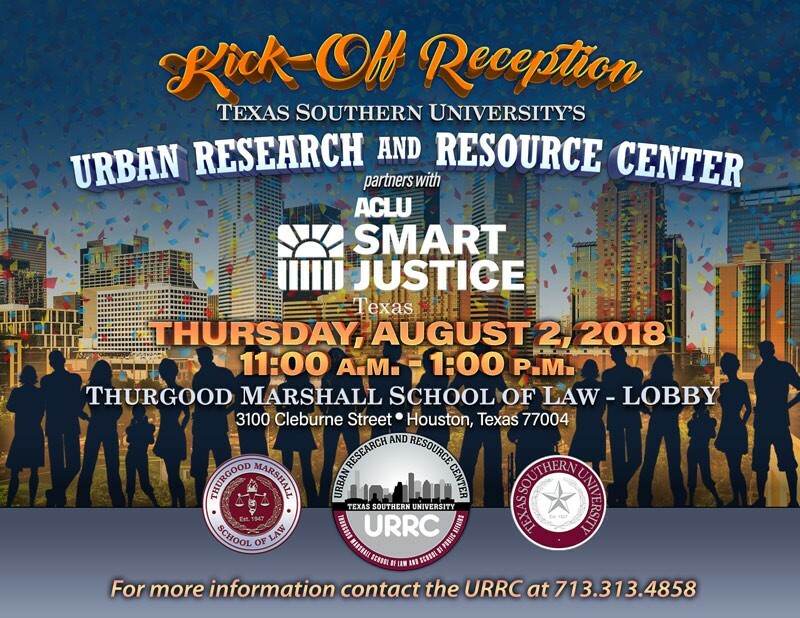 Develop a certificate program at Texas Southern University through its Continuing Education Program to offer education and training to formerly incarcerated individuals in public speaking with the goal of enhancing their access to employment and careers. Public speaking was selected because we are targeting reentrants who have a marketable story to tell. Texas Southern University will offer a multi-tiered certificate program for qualified men and women to matriculate and successfully conclude identified curriculums. The purpose of this course is to provide the training needed to start a career in professional facilitating and public speaking. The Collaboration’s goal is to provide realistic opportunities to aid formerly incarcerated men and women to successfully re-enter the employment and academic marketplaces. Through this work, the collaboration plans to positively impact recidivism and the living conditions for the re-entrants. The certificate program, guided by a public speaking expert, will help direct formerly incarcerated men and women formulate their story in a succinct way that it can then be articulated effectively in a multitude of forums, especially those that can impact the justice system in direct and impactful way. Additionally, the Collaboration plans to provide opportunities for men and women who have not been incarcerated but are part of the judicial system’s monitoring including those on probation or parole. Through these opportunities, the desired result is that the program graduates are provided pathways away from the justice system and toward a more full life free from judicial monitoring and controls. The Collaboration plans to maintain appropriate records of all program activities and results in order to produce evidence-based reports of strategies that work as well as those that are less helpful toward meeting program purposes.